Woodsong Cabinet & Trim at 100 W. 61st St. North Suite E in Park City, is expanding from commercial millwork into custom-cut furniture. 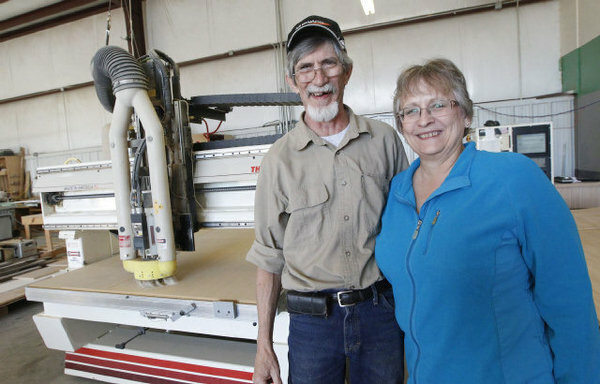 “I see a lot of potential with it to help diversify us into another line of work, which I think is very important these days,” said Carolyn Pierce, who owns Woodsong Cabinet & Trim with her husband, Randy. 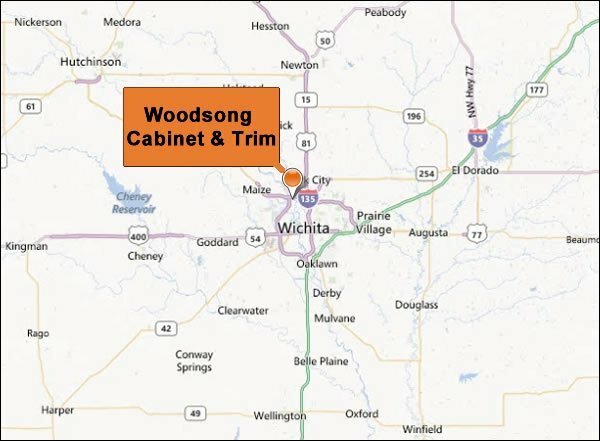 Woodsong is now a YouBuild Cut Center. 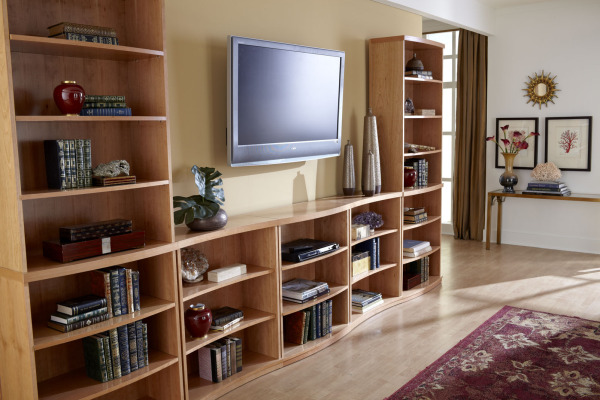 Customers can select a piece of furniture online and have it cut at the local store, with or without assembly. The furniture styles are modular, and customers can pick the type of wood, configuration, dimensions and finish at www.YouBuild.com. The order is sent to the nearest YouBuild Cut Center for cutting and labeling. The furniture is made of American-grown lumber plywood and is formaldehyde free. The company, which has been in business since 1998, had seven employees last year and is now down to three, Pierce said. They hope the new service and partnership will help the business and allow it to hire more employees. “If YouBuild gets up and going, there’s potential there to look to expand again,” Pierce said. The YouBuild program is affiliated with Thermwood Corporation, a manufacturing technology company based in Dale, Ind. Woodsong uses a Thermwood millwork machine, and that’s how the business learned about the YouBuild program, Pierce said. Woodsong’s business has focused mainly on clinics, pharmacies, schools and similar projects. A few years ago, the company focused on packages for restaurants nationwide. 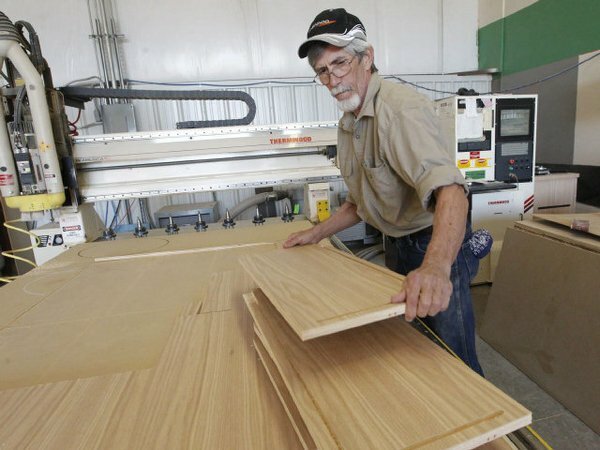 Now, Woodsong is looking for local businesses to help market the custom-cut furniture. “It’s a fairly new concept. We’re looking for a design center to get the product out here into clientele hands,” Pierce said. New YouBuild Cut Center Now Open Near Wichita, KS! A new YouBuild Cut Center is now open in Park City, KS - near Wichita, offering custom closets, furniture, home, office and business furnishings at quality and price levels not seen before. *For more information, and to order online, please visit youbuild.com. Working through a local YouBuild Cut Center or online at youbuild.com, you choose from a vast assortment of designs, customize them exactly to what you want and order. Your order is electronically sent to an automated production machine at your local YouBuild Cut Center. They process your custom parts which you then either pick up and assemble yourself, saving even more, or arrange to have the YouBuild Cut Center assemble, deliver and install. This method is as efficient as it gets, which means the lowest possible prices. 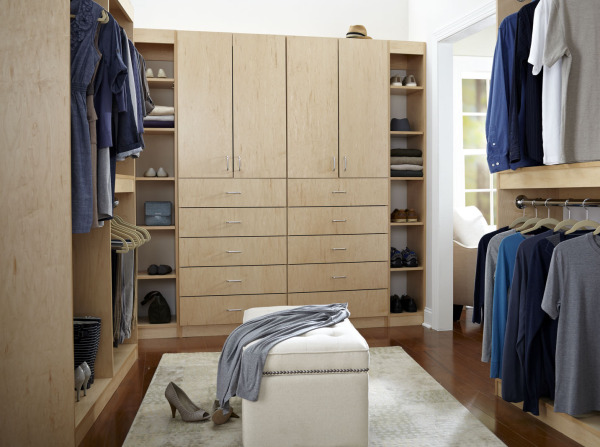 The YouBuild program offers over a thousand unique designs for home and office furniture and closets, some by renowned furniture designers. What makes this even more unique is that these designs can be customized and are available in four real wood species, walnut, maple, oak and cherry, either finished or unfinished. 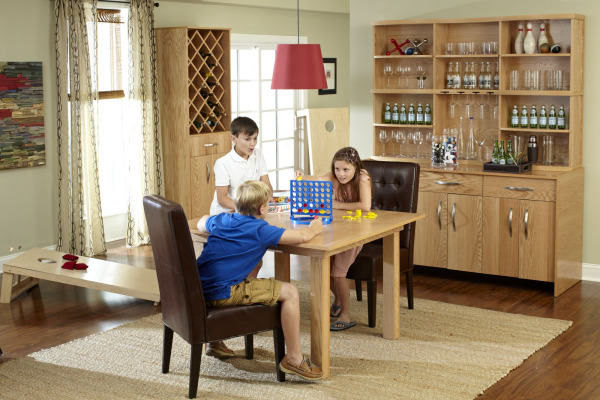 The wood, specially-made for YouBuild by Columbia Forest Products (the largest manufacturer of hardwood plywood in North America), is high-quality and formaldehyde-free for a healthier environment.